As an eleven year-old girl, I first fell in love with Oasis. Well, at first, I decided that I hated them solely based off the fact that some girl that I didn’t like enjoyed their music. A few weeks later, however, I heard one of their songs on the radio and was immediately hooked. Throughout my teenage years, I obsessed over them – accumulating every release, memorizing the lyrics to all of their songs, going to all of their concerts when they came to Boston, and spending way too much money on British music magazines so that I could stay in the loop even long after the radios stopped playing anything other than Wonderwall or, occasionally, Champagne Supernova. As you can imagine, I was rather upset when they called it quits. I resigned myself to the fact that I would never hear Oasis perform live again. I hoped that maybe the break was temporary or that someone would release some solo music soon. The latter turned out to be the reality. 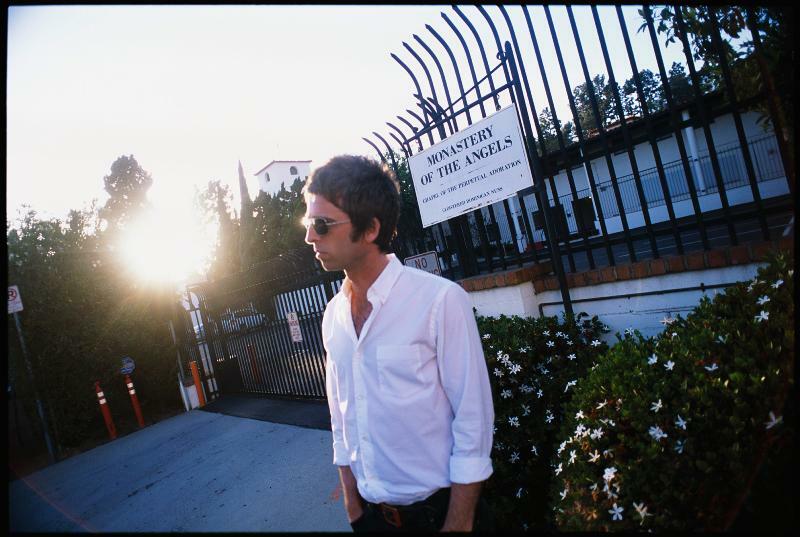 And, I will say, Noel Gallagher’s High Flying Birds CD is beyond worth the wait. On top of the awesomeness of the CD (released in America on November 8th, a short tour was planned. Great news for me — Boston was a stop on the tour! Needless to say, I purchased our tickets the morning that they went on sale and wound up landing some incredible seats. The set was flawless, mixing in some Oasis classics with his newer music. I was blown away by the strength and clarity of his vocals and, yes, I sang along to every single song. I nearly lost it when, like in the olden days, Noel performed a mini acoustic set (well, acoustic accompanied by a keyboard and a tambourine). The show was absolutely everything that I love in a concert and I cannot wait for the next time he comes around! One of my favorite take-aways from a live show, besides the overall experience, energy, and memories, are the opening bands. The opening band for this show was spectacular! The Hours blew me away – they sounded very tight, extremely polished, and incredibly unique. Thanks to Facebook, I have their set list to share with you, as well… all of these songs are amazing! Check out their official website for more information on their music, releases, and upcoming shows! 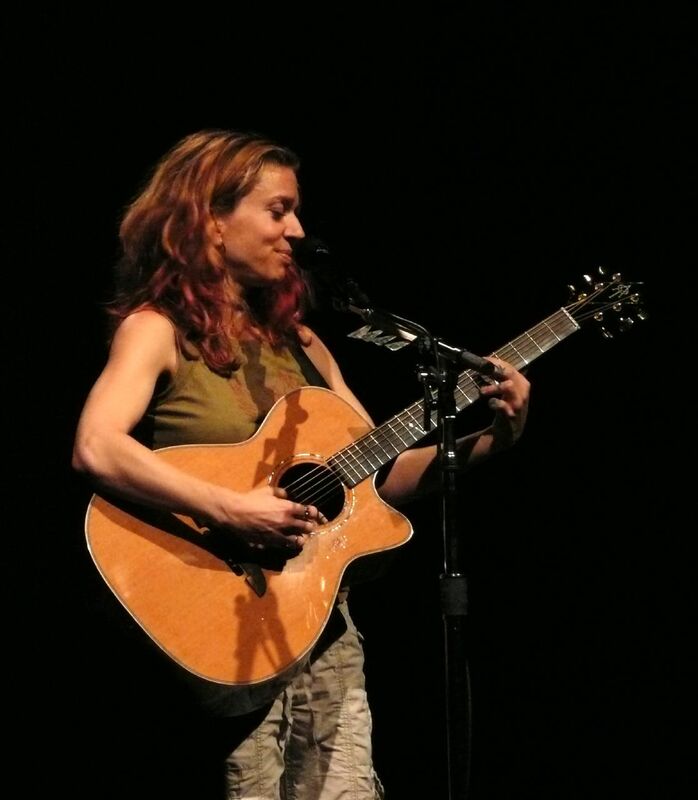 It’s Thursday – here’s some Ani DiFranco! It’s Thursday. So, this post is obligated to have very little to do with literature. Because that is the rule that I created when I first started blogging here. So, in honor of the concert that I’m attending tonight, I am going to share some Ani DiFranco with you. If you haven’t heard anything by her yet, I suggest that you head over to YouTube, do a search for her, and take your pick. Any video that you choose to listen to will give you a good introduction to what she’s all about. What I love most about her is that she’s always 100% herself and there is no one quite like her. I began listening to her in high school and discovered her thanks to internet. I was scoping out a lot of feminist message boards and chat rooms (remember those?) in search of music and literature created by strong, intriguing women. As a result of these searches, I discovered PJ Harvey, Bjork, Tori Amos, and Ani DiFranco. I could say a lot of good things about the other three women that I just mentioned, but today is all about Ani (and, yeah, I did that thing that women do when talking about other women, no matter if we haven’t met… first name basis). The first CD that I picked up was Not a Pretty Girl because when I saw that there was a CD by that title, I just had to have it. My mind was blown – whoa, I’m not a pretty girl either. I listened to and loved that CD so hard that it became unplayable after a while. And that was all it took — that one CD. I was hooked. Over the years, I’ve acquired a fair number of her releases, but I still don’t think that I’m even close to possessing the entire library of her work. She’s prolific. Creative. Unique. And powerful. And tonight I am fortunate enough to experience one of her concerts. Ten years later and I will finally get the full experience. For now, please enjoy one of her songs from Not a Pretty Girl. I took this past week off from work, because I felt that a little time off was well overdue. Additionally, I wanted to piggyback the time off with something else already planned, which was pretty easy to do, because, months ago, I purchased tickets to one of the Deadmau5 shows in Boston. So, briefly, I began listening to Deadmau5 a few years ago when his song, Not Exactly, played on one of my Pandora stations. I’ve always kinda enjoyed electronic music (mainly Nine Inch Nailed), but my husband can be credited for really getting me into it. When we started dating, I was totally into dancing and just losing myself in good music. And, without a doubt, Deadmau5 is good and puts on an excellent show. So, it should go without saying, that the show (which took place last night at House of Blues) was amazing! I did feel really old seeing 16 year-olds in the crowd — though, let’s be honest, seeing a 21 year-old makes me feel a little old these days — but I mentally prepared myself for that going in and enjoyed myself from beginning (7:00) to end (12:00). 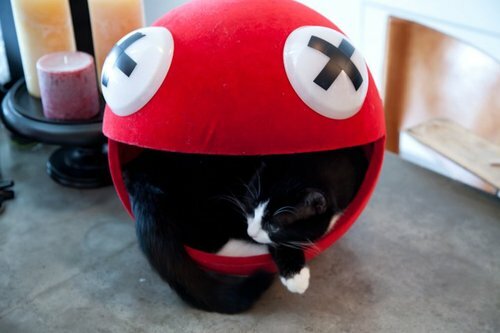 None of the performers disappointed and each act successfully raised the energy until the room seemed ready to explode as Deadmau5 took the stage. And, as you should know by now, I get really jazzed about cats.